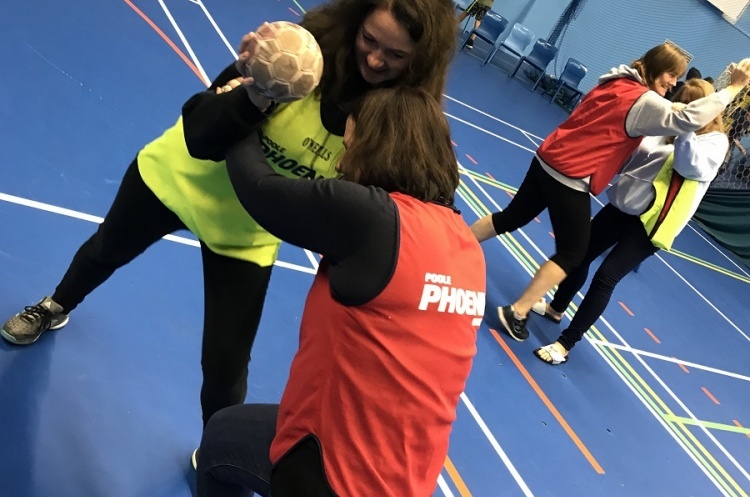 Poole Phoenix Handball club is helping mothers to tackle mental and physical well-being through handball with its Handball Mammas project. The project engages the mums of junior players and has become a weekly highlight for those who take part. An inclusive, welcoming atmosphere, coupled with a real sense of family has had a profound impact on many of the newbies. Heather has struggled with mental health and the Handball Mammas has provided her with an outlet to laugh, learn and get active. She said “When Liz first formed the Handball Mammas the very first impression I had was of a group of ladies who made me laugh. We all had the goal that we wanted to learn about handball and were open to a new experience. “In my case, which no-one will know, is the struggle I was having with mental health following diagnosis of a condition called Ehlers Danlos - and the impact it was going to have on the rest of my life. As well as the social benefits of the project, there has also been a significant improvement in the fitness of the women taking to the court. Nicky reflected on the impact it has made on her. She commented: “Over 50, over weight and lacking confidence, joining Handball Mammas got me moving again. Fun and friendships made me feel I could do new things and challenge myself. The project was set up a year ago through funding from England Handball’s Pro-Active Club programme. Club coach and project leader, Liz Roberts is delighted with what has been accomplished. She said: “The Handball Mammas was a playful passing comment that transformed into a life-changing reality. Sport and Recreation Alliance Direcor James Allen has praised the project. He said: “We commend England Handball on the excellent work they have done as we know that mothers are a notoriously hard to reach group.